Only a very few California law firms are highly specialized in OCERS Retirement Disability cases. Our attorneys have successfully filed hundreds of OCERS disability retirement applications and appeals. Our skilled lawyers have obtained millions of dollars in OCERS disability retirement benefits. We respect the fact that you have devoted your life to public service – and we are here to help you get the OCERS retirement benefits you deserve. Our lawyers have assisted hundreds of law enforcement, firefighters, educators, administrators, corrections workers, transportation employees and other public employees apply for disability retirement benefits – and successfully appeal disability retirement denials. Call our OCERS attorneys today. Or fill out the quick form on the right for a FREE CONSULTATION with an experienced OCERS Disability Retirement attorney. 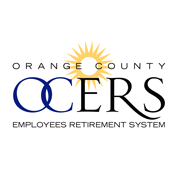 OCERS – Orange County Employee Retirement System – provides lifetime retirement and disability benefits to employees of Orange County, as well as certain districts. Membership in OCERS is mandatory for all eligible employees – but it is optional for certain elected officials. It is also optional for new employees age 60 and over, if they waive membership. Since members of OCERS neither contribute toward, nor receive credit for, Social Security, collecting OCERS retirement (and disability retirement) benefits is extremely important to any OCERS member. There are two types of retirement disability benefits payable from OCERS: Non-Service Connected Disability Retirement and Service Connected Disability Retirement. Unfortunately, OCERS will frequently question or deny Disability Retirement Benefits. This can be a devastating blow to a disabled public employee who has devoted their life to public service – only to be denied their hard-earned disability retirement benefits. Our experienced OCERS attorney have assisted hundreds of injured, ill or disabled firefighters, teachers, police & sheriff, administrators, transportation & airport workers, corrections personnel and other public employees collect the maximum Disability Retirement Benefits that they deserve. Their disability is not due to a job-related illness or injury. The incapacity arose out of, and in the course of their employment, and such employment contributed substantially to their being incapacitated. The Retirement Disability Attorneys at the Law Office of Cantrell Green offer FREE CONSULTATIONS to OCERS members and all public employees in the Los Angeles area, Orange County, San Diego County, Ventura County and anywhere in California, including: Anaheim, Long Beach, Carson, Bellflower, Compton, Downey, Fullerton, Garden Grove, Hawthorne, Huntington Beach, Irvine, La Habra, La Manhattan Beach, Mirada, Lakewood, Lomita, Oxnard, San Pedro, San Bernadino, Santa Ana, Santa Monica, Santa Barbara, Thousand Oaks, Torrance, Wilmington, Whittier & Yorba Linda.